I know. We’ve been saying that for weeks, no months now. But rest assured they are on the way. We have seen a few signs here and there of the Google Play Store coming to more Chromebooks and today brings us another teaser. Our eagle-eyed friend, Brent Sullivan, just shared a video to Google+ showing what appears to be an advertisement for the Lenovo Thinkpad Chromebook 13. The video really pushes home the fact that the Chromebook 13 is a business class device designed for workflow. Unlike the confusing advertising by Samsung a few weeks back, this is a deliberate billboard for Android Apps coming to Chromebooks; soon. While we are a few days behind what would be the normal release date for Chrome OS 54, it is still well inside the 6 week schedule we have become accustomed to seeing. If this is any indicator, we can at least hope to see the release of the Play Store and Chrome OS 54 in the coming days. 54 Stable for Desktop was launched a little over 2 weeks ago and we have been anxiously awaiting the little update arrow on our Chrome devices. 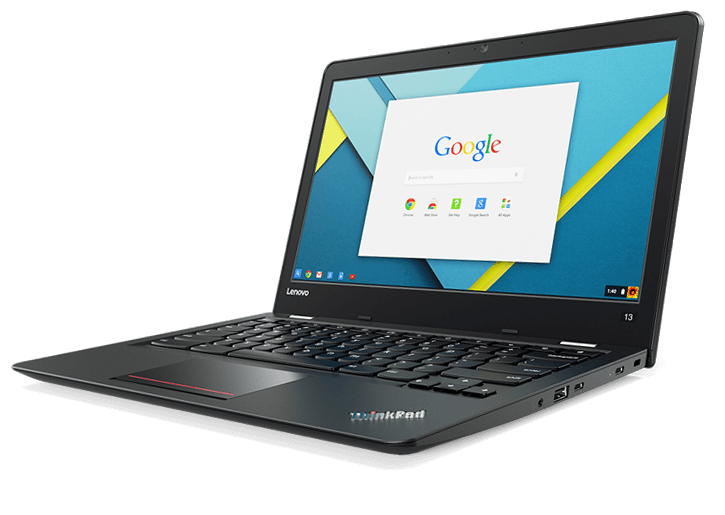 Check out the video below and cross your fingers with us that Chrome OS 54 will be here sooner than later.